Home›Reviews›Clone Wars - The Star Wars Animated Series Bridging the Gap Between Episodes II and III! 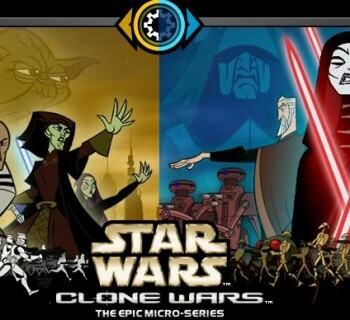 Clone Wars - The Star Wars Animated Series Bridging the Gap Between Episodes II and III! As with most Star Wars reviews, this one contains potential minor spoilers for people who have not seen the movies. 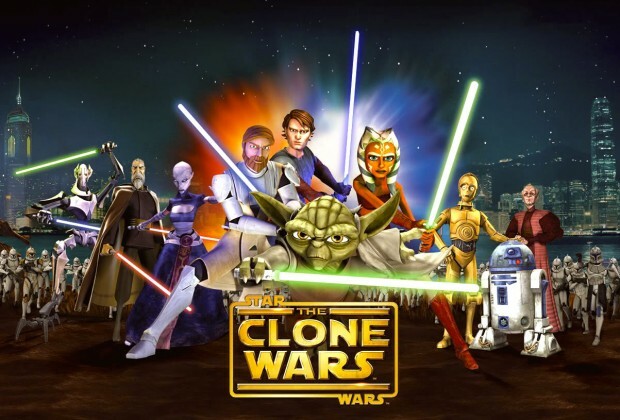 Star Wars: The Clone Wars began airing on Cartoon Network in 2008, following the theatrical pilot movie. This has been a landmark year for Star Wars fans, with the relaunch of comic releases from Marvel, and of course, a new theatrical movie on the horizon. Of course, one of the biggest developments in the Star Wars universe began a few years ago. The Clone Wars (not to be confused with the similarly titled 2D Genndy Tartakovsky series from a few years prior) began airing in 2008. This CGI series attempted to bridge the gap between Episode II: Attack of the Clones and Episode III: Revenge of the Sith, fleshing out further plot points and exploring the war as it raged on across the galaxy, across various star systems and worlds. Familiar and new characters alike are featured prominently, from Jedi Knights and Sith Lords, to droids and senators. Also, according to Disney, George Lucas, and the LucasFilm Story Group, this series IS canon and official in the Star Wars Universe. The series ran for five seasons on Cartoon Network but faced a rather abrupt cancellation. Episodes comprising an unaired sixth season were later released on Netflix, and on DVD and Blu-ray Disc home video sets. As of this writing, all seasons are available on both Netflix and home video formats. 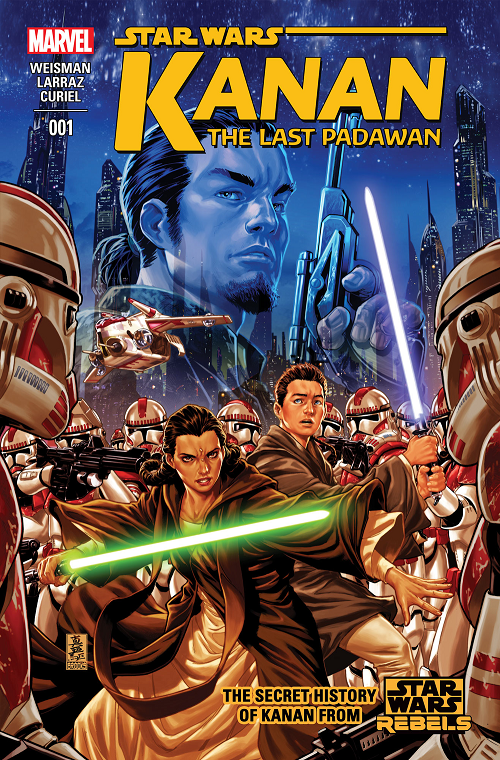 Other unused and unaired storylines have been made into comics and novels, and a few animatics of incomplete episodes have even been released on the official Star Wars website. A major plot point of the series is Anakin Skywalker, after becoming a full Jedi Knight, taken on a Padawan learner of his own, Ahsoka Tano. I did not watch the show when it first aired on Cartoon Network but did see the pilot movie when it was in theaters, and admittedly, the rather lacking quality of said movie put me off and I did not explore the series until just recently, in the past several months. As a die-hard Star Wars fan, I can honestly say I made a huge mistake. Asajj Ventress, the Dathomirian Nightsister who played a part in the 2003 2D Clone Wars series, plays a much larger role in this series, with her character being more fleshed out and explored. The series at large is surprisingly good despite a few problems here and there. Even if you saw the pilot movie and did not like it, you owe it to yourself to give the actual series a chance; these episodes and ongoing story arcs are far more compelling than what you will see in that film. 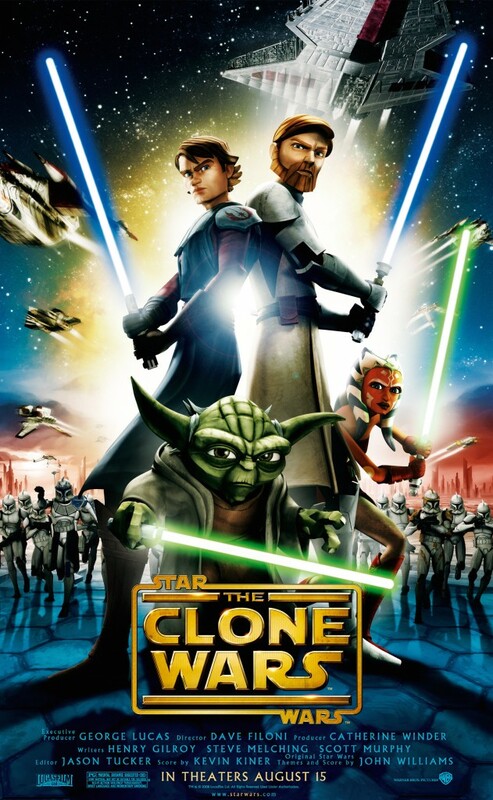 The pilot movie that launches the series kicks things off in the midst of the Clone Wars, which began at the end of Attack of the Clones. By now, the war between the Galactic Republic and the Confederacy of Independent Systems is raging in full force across the entire galaxy. Chancellor Palpatine and the Grand Army of the Republic, comprised of clone soldiers, team up with the Jedi Knights and battle the Separatists on several worlds. 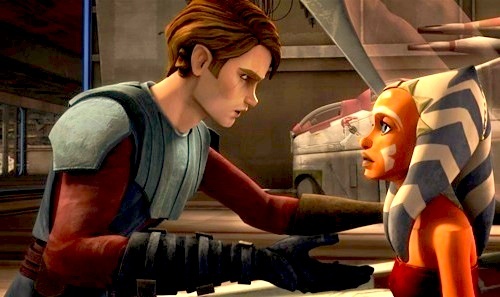 The pilot movie features Anakin Skywalker, who just became a full-fledged Jedi Knight, taking on a Padawan learner of his own, Ahsoka Tano, much to his initial dismay, though the two gradually learn how to work alongside one another. All the while, the Separatist forces, under the leadership of Jedi Master turned Sith Lord Count Dooku, with guidance from the mysterious Darth Sidious, continue to wage war on multiple worlds, with deadly foes in their employ that include General Grievous, Asajj Ventress, Admiral Trench and millions of Battle Droids. The series features both standalone episodes, and ongoing story arcs that comprise several episodes. Characters and situations introduced in one arc do tend to reappear throughout it all, giving a sense of continuity and consistency to the series as a whole. Christopher Lee (RIP) and Samuel L. Jackson reprise their respective roles as Count Dooku and Mace Windu in the pilot movie, but not the series. Anthony Daniels and Matthew Wood reprise their respective roles as C-3PO and General Grievous in both the movie and the series. The biggest worry I had coming in to experience this series was whether or not it would be a “kiddie” show. While it is clear that much of the show was focused at a youthful audience, this was a fear that was almost immediately eradicated. Kids will love the show, but many of the story arcs actually feel like they were made with older, more mature viewers in mind. 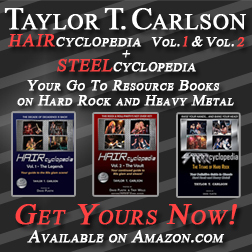 The series is not afraid to delve into deeper, darker issues and plots. Characters are developed over the course of time, and the show is surprisingly edgy at times; the writers are not afraid to kill off semi-major characters. 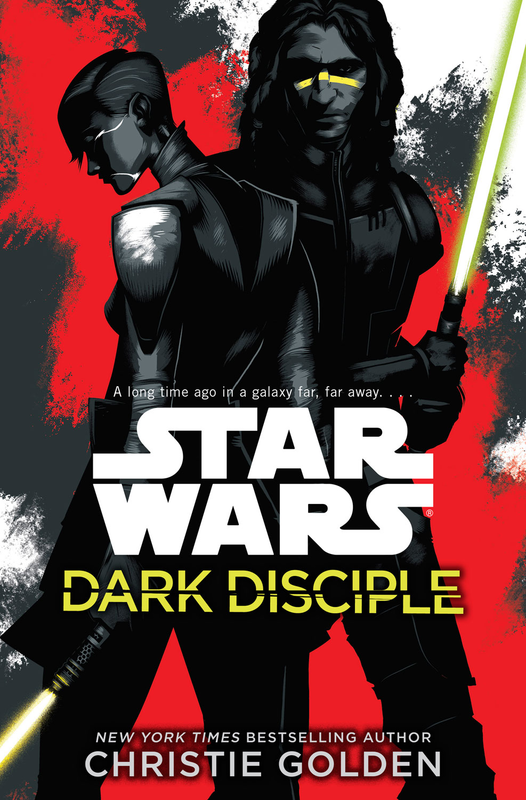 This helps to give some gravity to the story and does not make it feel overly sanitized for kids, though it is certainly still appropriate for them; the “darkness” in this series does not approach the sheer bleakness of Revenge of the Sith. Droids C-3PO and R2-D2, fan favorite characters, make several appearances throughout the series. The scale of the show is equally impressive, not limited to following one character or world. The tone of the episodes can differ substantially depending upon who or what is being followed, too. Hell, you will even encounter some episodes with almost NO familiar characters! We have episodes focusing on Jedi and Clones fighting battles against Battle Droids and the Separatist villains, episodes regarding politics and the way the war impacts the galaxy off the battlefield, episodes revolving around the Droids, and just about everything in between. Characters from the films come into play at times, including brief but memorable appearances from characters like Chewbacca and Wilhuff Tarkin. A major villain from Episode I: The Phantom Menace even makes a surprise return later in the series. I also give the show credit for trying to flesh out the Separatist side of the war; we actually get to see a number of Separatist civilians, something never shown in the film, as well as some neutral planets. Things given passing mentions in the films and nothing more are further explored here, often in detail and intriguing story arcs. If you have never watched anything Star Wars related before, I would recommend not watching this show until AFTER seeing the movies; the series does seem to have the expectation that its target audience has seen the films. This is especially evident in scenes where characters have premonitions and visions of the “future” that we see in films set later. I would dare to go so far as to say this series is better written and actually more enjoyable than most of what we saw in the Prequel Trilogy; this is likely due to the inclusion of writers other than George Lucas, who is a great “idea guy” but cannot write dialogue to save his life. At its heights, this series is easily on par with the best of what the Star Wars franchise has spawned. 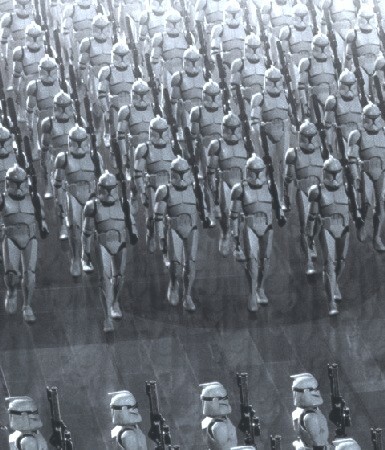 Many episodes revolve around the Clone Army of the Republic, for whom the conflict is named. -The pilot movie has a frustratingly juvenile tone to it in many places, which is a big part of what prompted people to not even give the series as a whole a chance. The plot revolves around rescuing Jabba the Hutt’s infant son from the Separatists. Throughout the movie, Ahsoka refers to Jabba’s son as “Stinky,” and has similarly obnoxious nicknames for other characters. Fortunately, this was largely dropped after the pilot movie, but by then, the damage was done. -The Separatists come off as uninteresting, one-dimensional villains. There are attempts to flesh out the Separatist cause by introducing worlds and civilian populations that have allied themselves with Count Dooku’s cause. The problem here is that the Separatists are depicted as backstabbing con artists, not soldiers fighting to help people. Episode III’s opening crawl text contained the caption “There are heroes on both sides.” I did not see any “Separatist heroes” here. The series consists of them extorting people and worlds, using people and killing them when they are done with them, and tricking people into allying with them and siding with them against the Republic. There are some interesting story arcs and elements, but they cannot save the Separatists from being fairly bland and uninteresting villains. -The Battle Droid humor gets old fast. If you have seen the Prequel Trilogy, you know what I mean here. Even before seeing this series. -Many story arcs focus around Jar Jar Binks. George Lucas was smart to give him the shaft for the most part after The Phantom Menace, but here, in some stories and plotlines, he becomes a semi-major character. Fortunately, he is nowhere near as annoying and useless here as he was in Episode I. Hell, there were actually times where I found myself rooting for him, God forbid. -Not all of the new characters introduced here are winners. Ziro the Hutt, Jabba’s uncle who plays a substantial role in the pilot movie and a few arcs in the main series, is a blatant homosexual stereotype that ranks as one of the most laughably bad characters ever introduced in the Star Wars franchise. Fortunately he is not seen that often. -Certain story arcs do wear out their welcome. When you are going to devote multiple episodes to one story, that story had better be a good one. There are certainly more hits than misses here, but some of these arcs are not worth the number of episodes devoted to them. In some cases, streamlining and editing the episodes further could have reduced the total count, leaving the series to focus on more pressing matters. -Some of the voice actors/guest stars are a little TOO recognizable and distracting. Bail Organa, for instance, is voiced by Phil LaMarr. The result? The benevolent Senator of the Republic who plays a key role in many of the more "political" episodes ends up sounding exactly like Hermes Conrad from Futurama. I wish they had chosen a different actor or made some effort to differentiate the voice. Overall, if you are looking for a great way to kill time until Episode VII: The Force Awakens comes out, The Clone Wars is a great, intriguing series tying together the loose ends between Attack of the Clones and Revenge of the Sith. A few minor flaws cannot keep the overall good series down, and it is highly recommended viewing for all Star Wars fans! All images used in this review are copyrighted to George Lucas, LucasFilm, Disney, 20th Century Fox, Warner Brothers, Cartoon Network, and all other associated entities.